My first visit to Cushion Studio Corner at THE FACE SHOP that recently has relocated to a new shop location at Berjaya Times Square. Not only that it has a new design of the entire shop too! My favorite part of the shop is this Cushion Studio Corner. You can easily spot the Cushion Studio Corner it on the right side of the shop. If you have been to other outlets at Pavilion or other shopping malls, you may not see this Cushion Studio corner before. 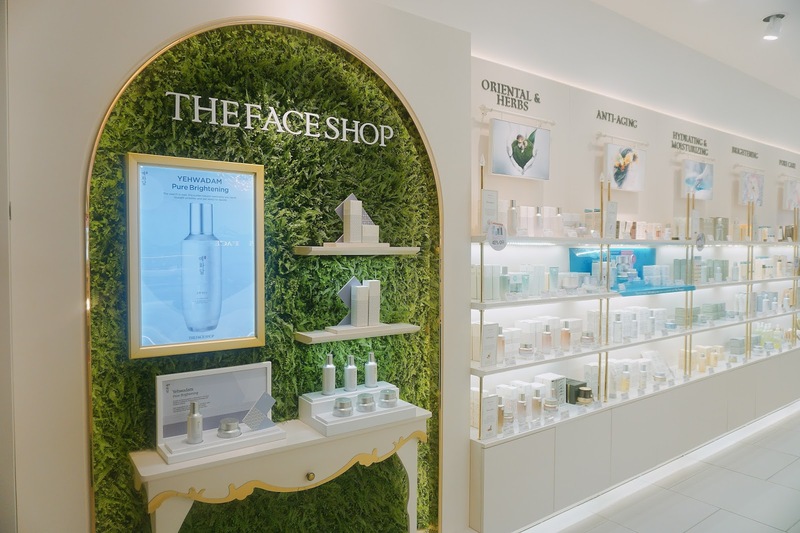 Because is the first at THE FACE SHOP Berjaya Times Square outlet! 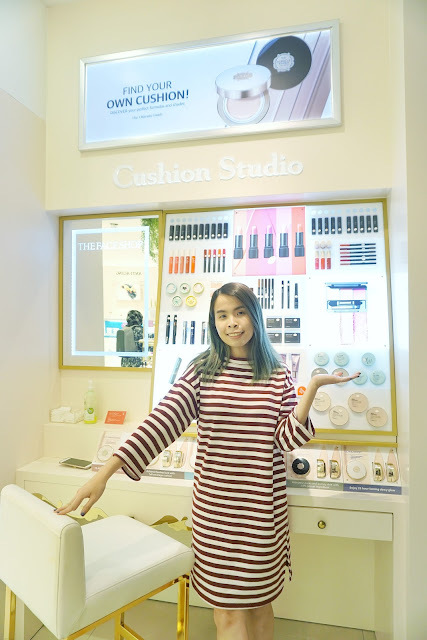 This Cushion Studio Corner does not only consist of various BB Cushion for you to try, but there is a whole range of face makeup products for you try too. From base makeup to eyes, and to lips too! There are a total of six different types of cushion for you to try too! 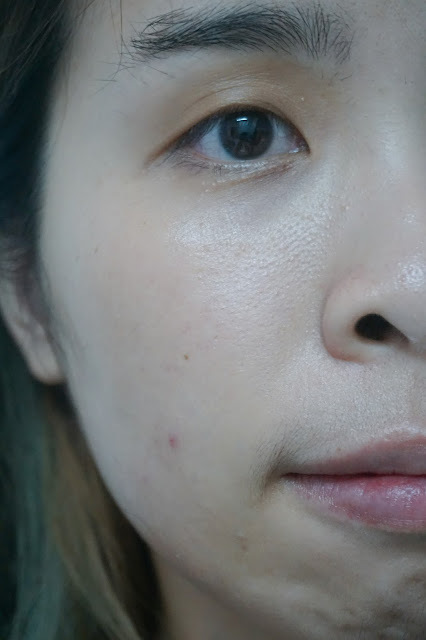 From BB Cushion to CC Cushion, from Intense Coverage Cushion to Natural Coverage looking Cushion too! 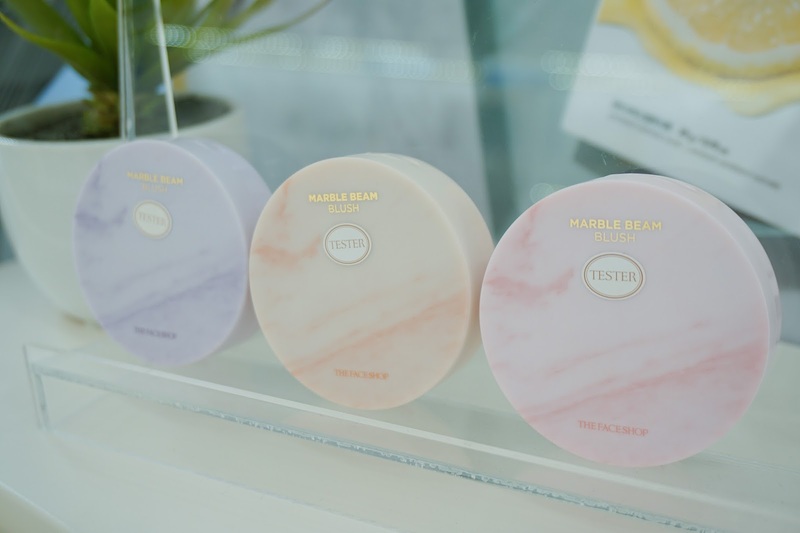 Each of the cushion curated for different kind of skin types and you can definitely find the perfect match of cushion for your skin type. 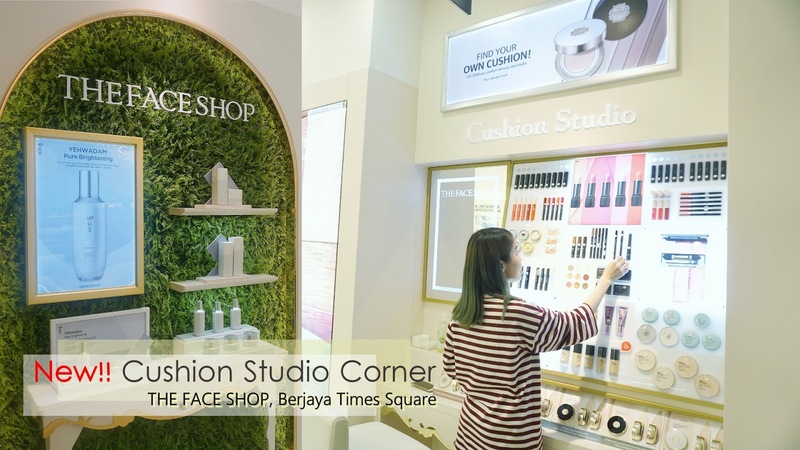 This space also comes with chair and mirror at the side for you to sit and relax while retouching and testing out their makeup products in Cushion Studio corner. 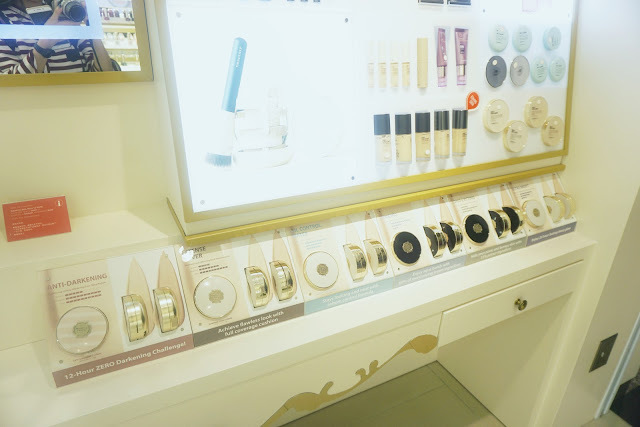 I really love this kind of corner especially for makeup enthusiast like me! I would like to tend to re-touch my makeup during shopping time. If you are working in a mall, it would be perfect for you to check out and try out some of their products. Who knows you might be able to find some products that you like and works well for your skin. 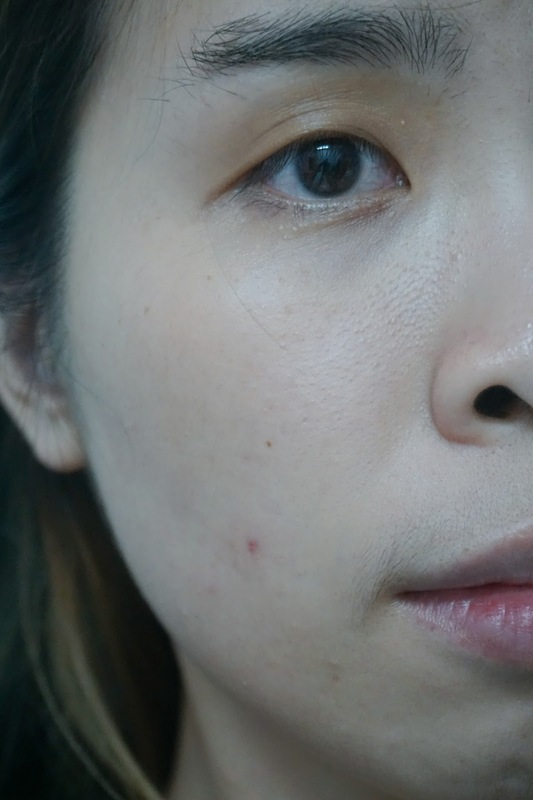 Checking some of the products in the Cushion Studio corner, should I be re-touching my brow or lips? 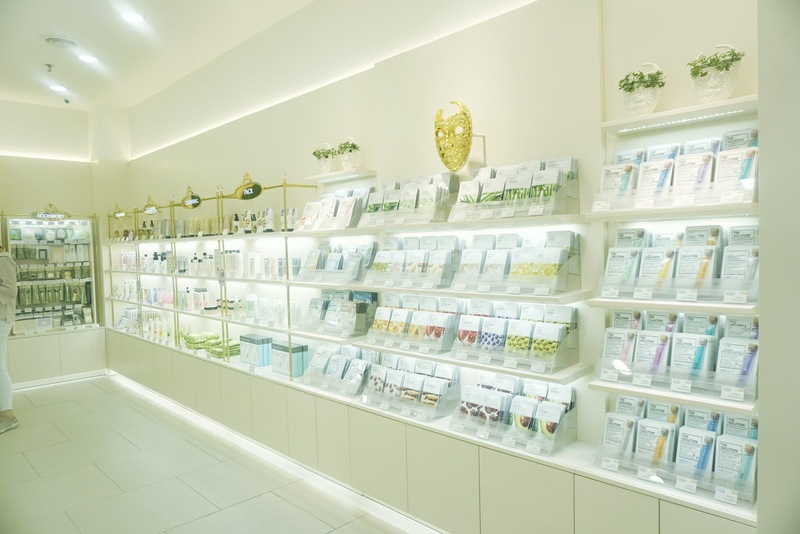 In the future new store, there will have more of Cushion Studio corner open in THE FACE SHOP store. In the meanwhile, do drop by at THE FACE SHOP at Berjaya Times Square to check out this new cushion studio corner. 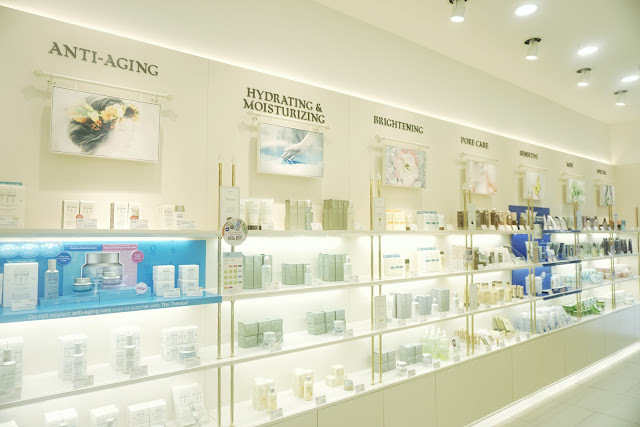 Isn't it now easier to go to the correct corner with the product type that suits the best for your skin type? 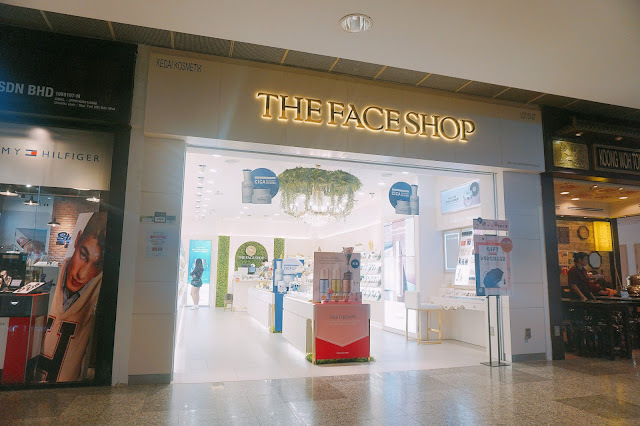 The entire shop at Berjaya Times Square has a new face now! I freaking love how spacious and how neat the products now are arranged in the store. You can easily scan through each of the product they selling on the shelf too! 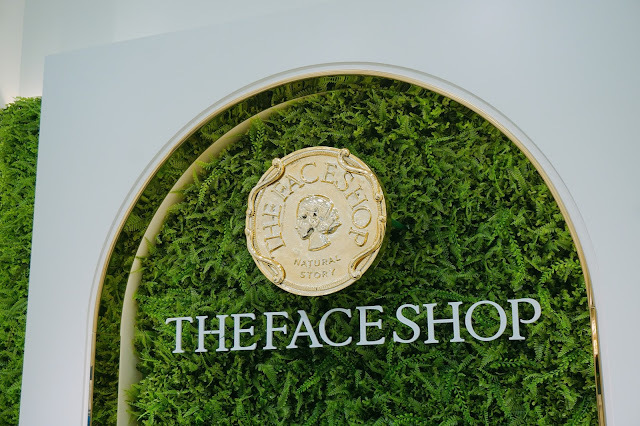 I would also like to shout out to you guys about some of THE FACE SHOP products that I really enjoy too. Let's start with makeup, I bet girls will never have enough makeup in their vanity table! 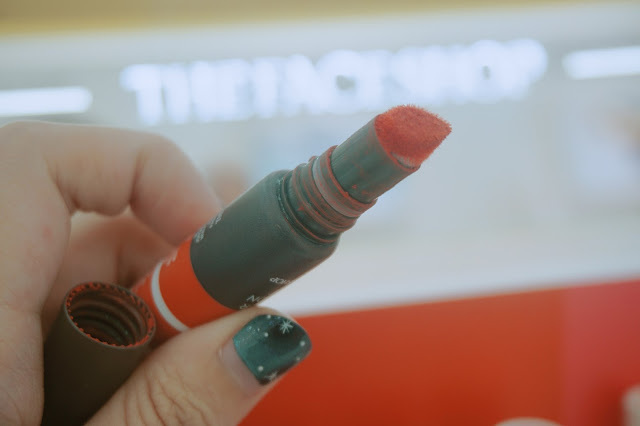 It was built-in cotton applicator provides soft & even adherence, and semi-matte finish as if naturally stained by a fingertip when you apply it on your lips. I was like wow at the applicator because it actually glides smoothly when I apply on my lips. Comes in gorgeous 8 colors shade! 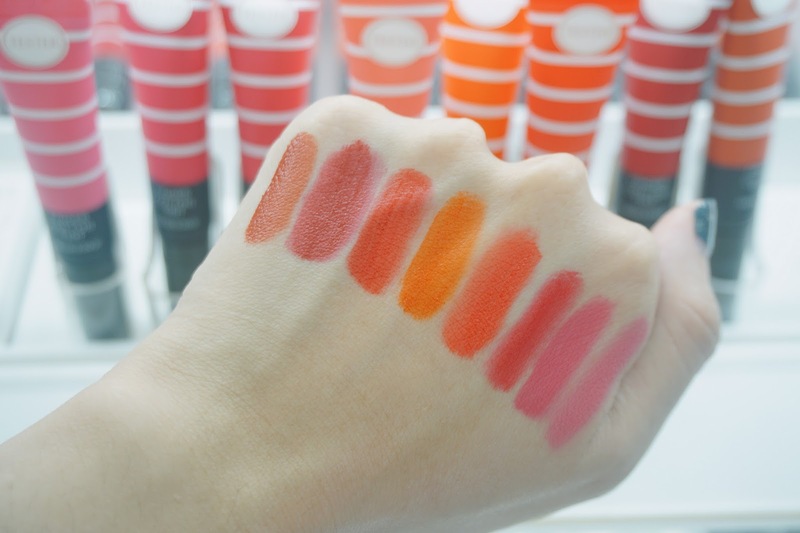 From your kind of MLCC shades to the pink girlish shade for you to choose. Of course the most anticipating MARBLE BEAM series from THE FACE SHOP!! It comes in 1 Highlighter that is in the White Marble case and 3 beautiful Blusher that comes in Purple, Coral, and Pink shades. When I first saw it, my eyes immediately shine and can't stop staring at how gorgeous the Marble Beam Casing are. 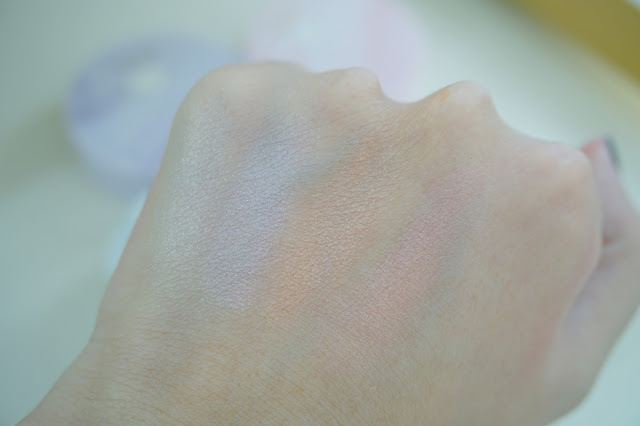 I like each of the colors that looks really natural when I swatch on my hand. If you interested to try it, you can always visit their store to try it yourself. Let's talk about some of their New Skincare in stores! This Booster is released in limited edition by means it is only released for certain period only. 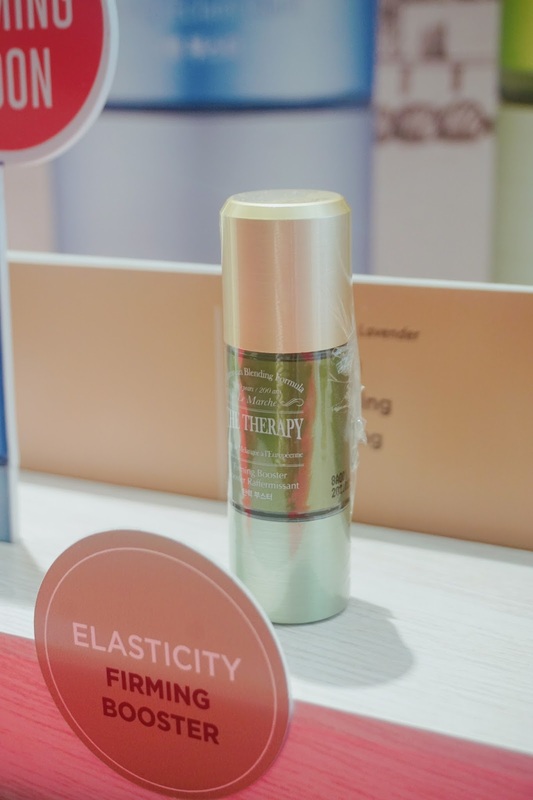 I have been adding this firming booster in my skincare routine because I don't want to change or add any new skincare products to my routine. Simply drop 1 to 2 drops of the firming booster into your moisturizer. 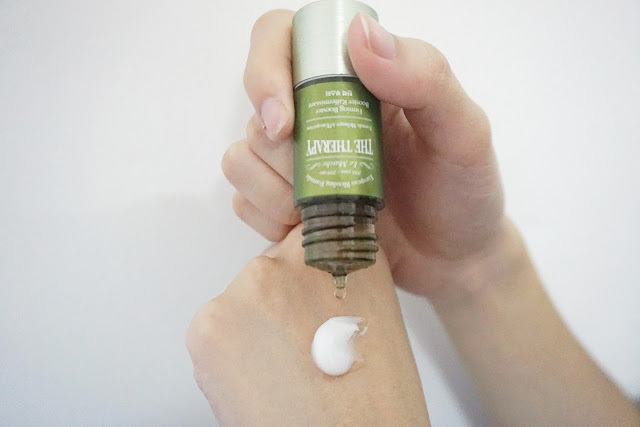 Gently mix both together and apply it on your face! Check out link here to see how I mix and use it with my current skincare products. Since I need some firming and anti-aging booster to help firm and lift my face to look younger and glowing too. Ever since I been using it, I can feel my skin feel more radiant and firmer too! Easily locate the new store location just beside Kong He Tang and opposite to Hua Wei store too. It is super near to the bridge connection to Laoyat and Sg Wang. Do visit to check out their new Cushion Studio corner and some new arrivals in the store! Do follow and like their page for more new and latest updates! Yess too many products to choose!! They have a lot of nice collaboration!! Thank you so much for sharing...im gonna try as well. OMG. Finally ada juga Face Shop buka kat kawasan dekat dengan rumah I. Suka dengan lip products dia. I like those pastel-colored marble inspired cushion. So pretty! 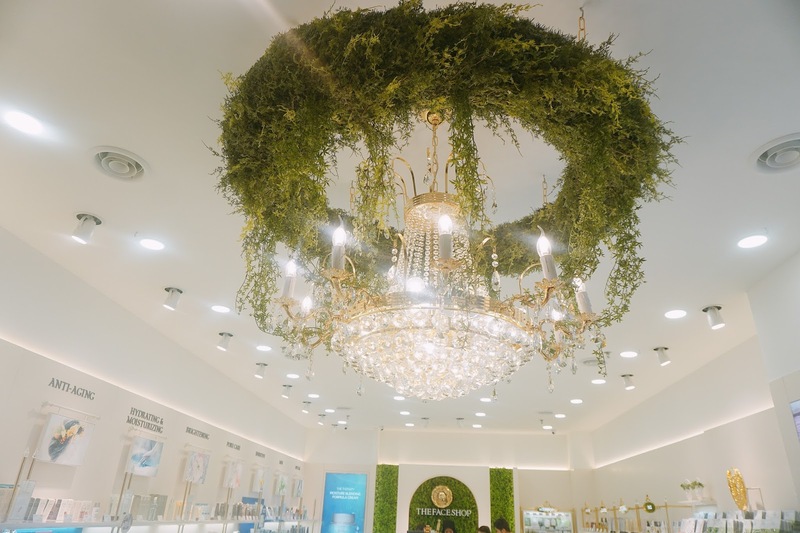 And their new chandelier! Yesss!! It was a pretty blusher!! I'd really love to go and have a look and play with some of the colours. It's convenient since I hang out at Berjaya Times Square regularly. Really? Then you should check it now! 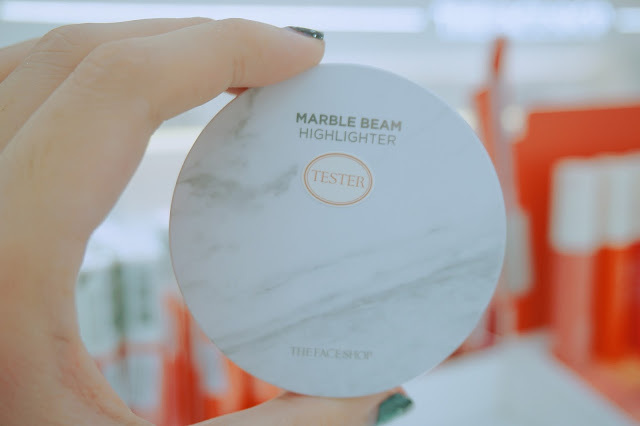 OMG, the marble beam is soooo prettyyy! At times i wish i had a marble dressing table to match everything. HAHA. 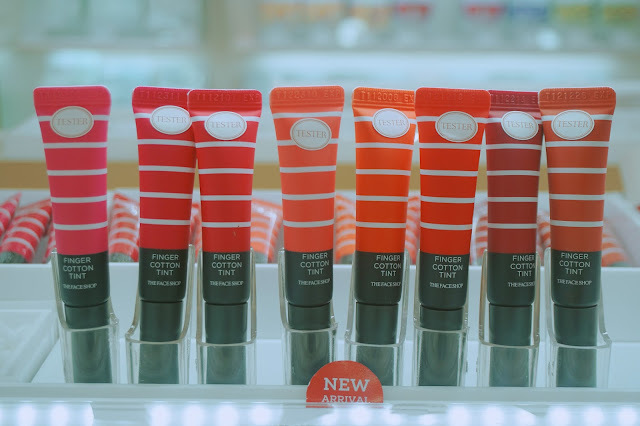 I need to make a pit stop to the face shop to check these out myself.